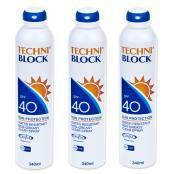 Buy any two large cans of Techniblock sunscreen and benefit from a handy, pocket-sized 75ml spray absolutely free. 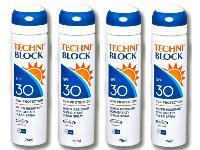 Great for popping in a golf bag, sports bag or beach bag for protection on-the-go! 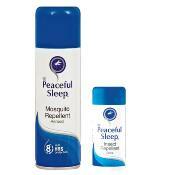 See also our Family Packs that offer protection against both sunburn and insect bites with a free 75ml sunscreen and a free 85ml insect repellent with every pack. Plus, big savings on our multi-packs offering great value for money and with no best before date on our sealed, airtight canisters, we can guarantee no waste either.